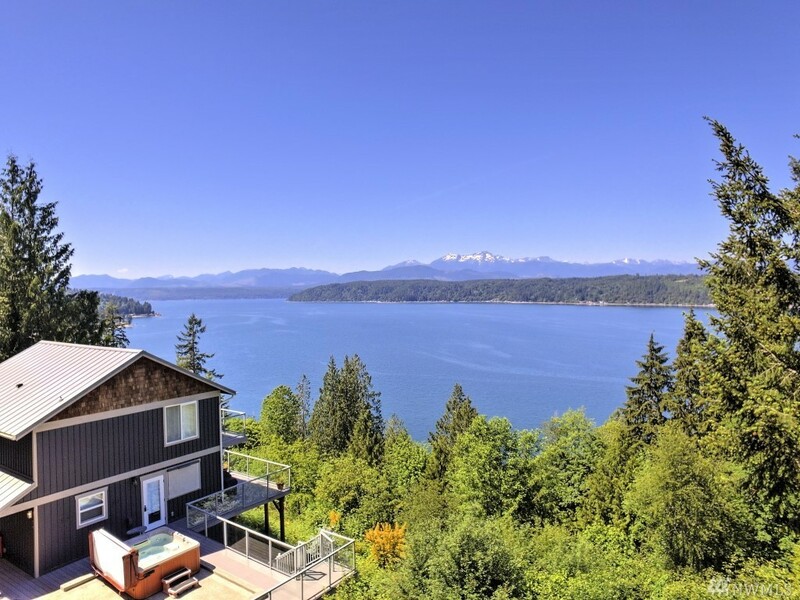 Unbelievable view of Hood Canal and the Olympic Mountains from almost every room of this amazing home. Beautiful kitchen with Granite counters, a gas stove, and tons of custom cabinets. The open floor plan and big deck are perfect for entertaining guests. Nice master with a private deck and an even better view. Just down the hill is the private clubhouse and dock that is available for you to moor your boat. Adjacent lot also included with a 2 bedroom septic installed. Please come take a look!